12. Release retaining clip (Figure 8, Item 2) from light (Figure 8, Item 1). 13. Remove bulb (Figure 8, Item 3) from light (Figure 8, Item 1). 14. Complete steps 1 through 13 for remaining lights. 1. Clean and inspect all parts IAW Mechanical General Maintenance Instructions (WP 0369). 2. 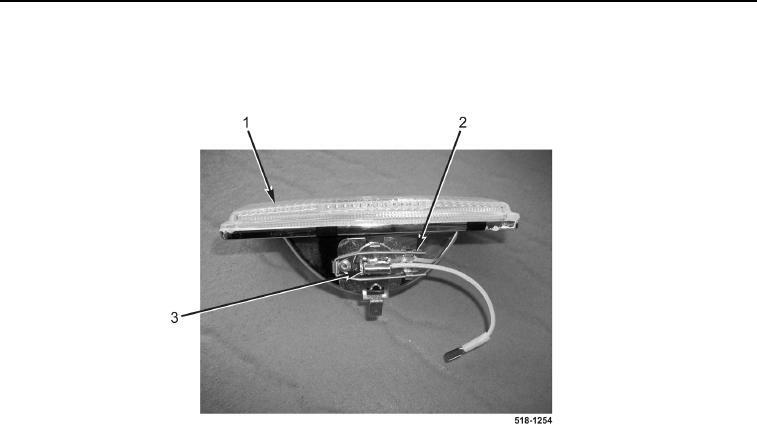 Clean and inspect all parts IAW Electrical General Maintenance Instructions (WP 0370). work light is shown in this procedure. 1. Install bulb (Figure 8, Item 3) on light (Figure 8, Item 1). 2. Install retaining clip (Figure 8, Item 2) on light (Figure 8, Item 1).